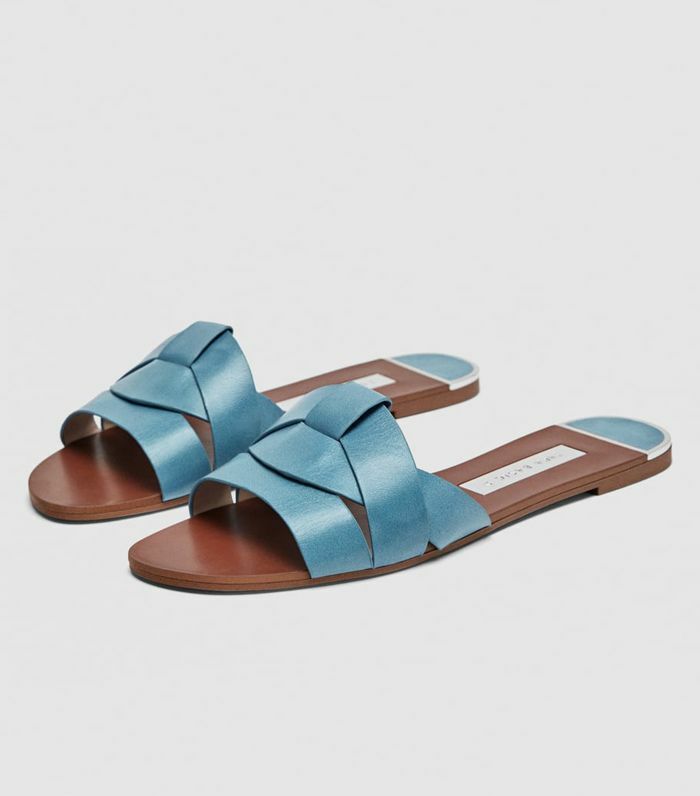 Last summer, there was one pair of £26 Zara sandals that really took off with the fashion crowd: a pair of expensive-looking crossover strap leather sliders. 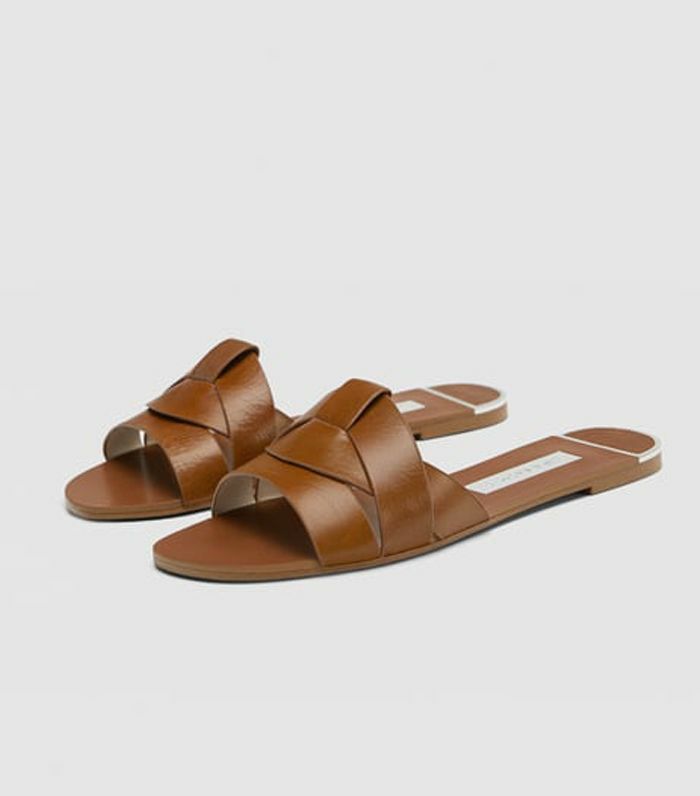 It’s only February, but Zara has just released several other versions of these cult sandals, confirming that they will be a 2019 success story too. 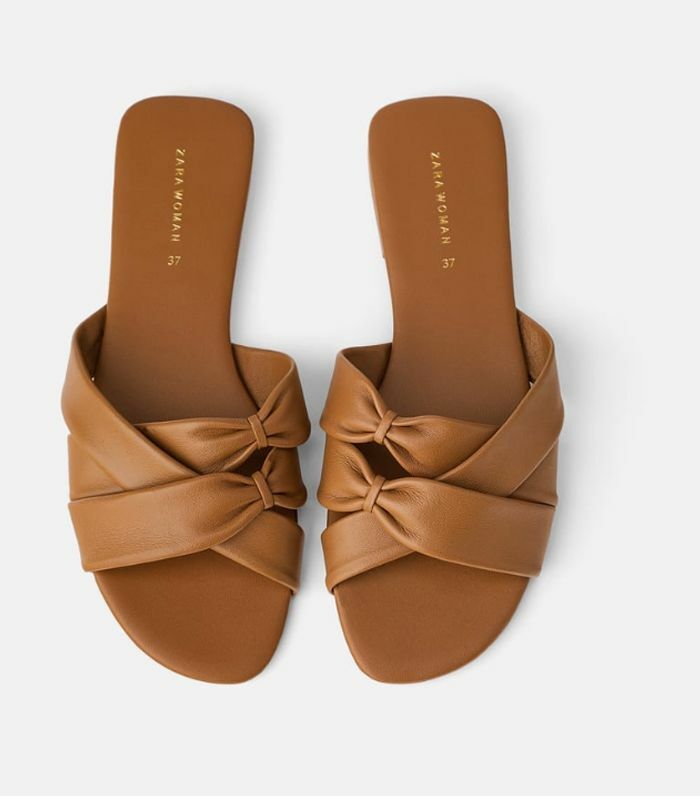 If you work in a sandal-friendly office, these are a smart option that will truly work seven days a week during the summer months. This might feel like a lifetime away, however, it’s often sensible to buy before the warm weather arrives. 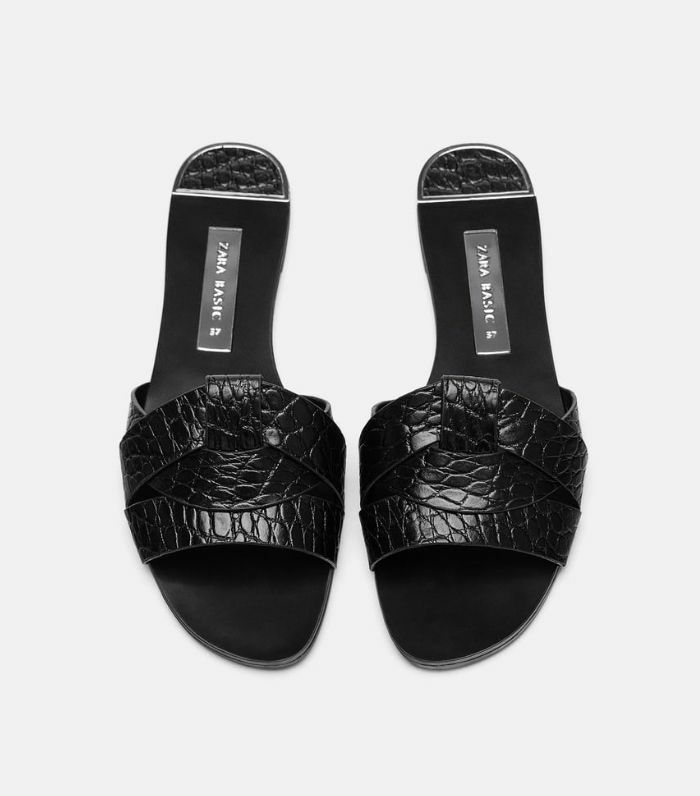 After all, if you wait too long, finding a pair of chic sandals in your size can prove as difficult as finding a gin and tonic tin in London during a heat wave. The good news? Not only has Zara re-released its sellout style in the original colours, but it’s also made a mock-croc version and new colourways. 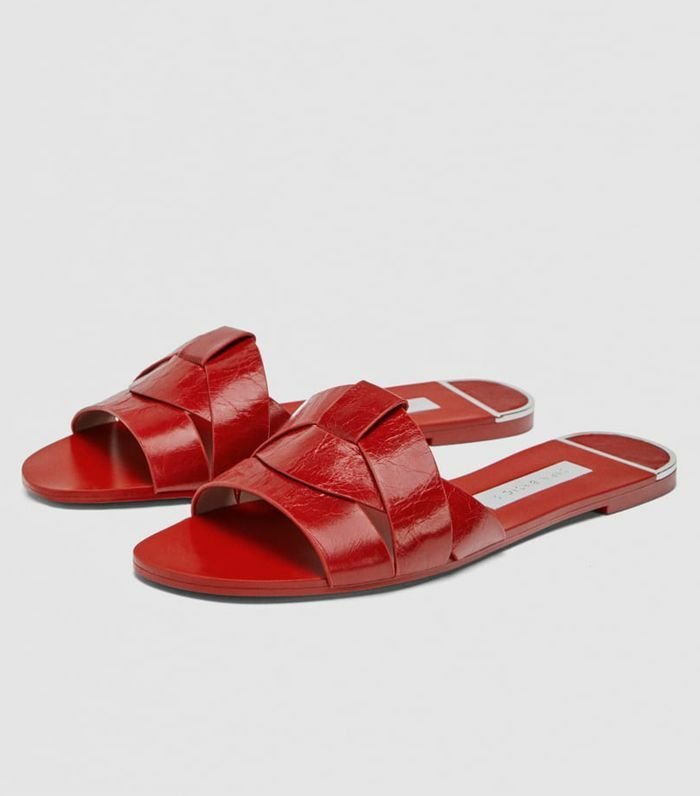 Keep scrolling to see and shop the Zara slides. 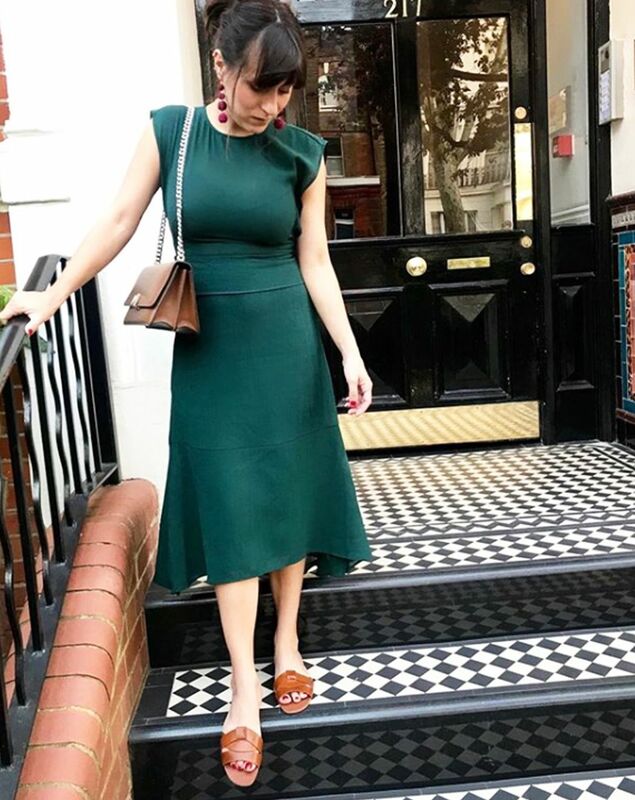 Style Notes: Katherine Ormerod shows these sandals look great for formal occasions, pairing the tan version with a green midi Cefinn dress. Style Notes: Hannah Lewis’s tan Zara sandals look seriously expensive when paired with a double-breasted jacket.